Is Texas Real Estate a good investment? 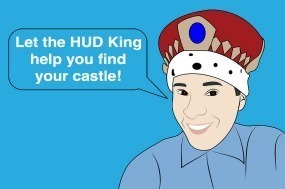 Connect with us at: http://hudking.com Watch as The HUD King delivers a real virtual tour of the HUD Home located at 856 County Rd 367, Hondo, TX, 78861. This is an amazing home to consider. It’s 3 bedrooms, 2 baths and it sits on a large corner lot that is about 1½ acres. All it really needs is some painting and some flooring and you’re ready for your country living mini ranch. Hondo is just west of San Antonio, about 45 minutes west. It’s listed for $36,000 BELOW the county appraisal, for $188,000 and HUD will pay 3% of your closing costs. USDA may even allow a $0 down payment in this area. There have been some tremendous savings on HUD Homes lately so if you are looking for a home to live in or some houses to pick up as an investor, now is the time to buy. All HUD Homes are time sensitive so you need to call me as soon as possible to discuss your buying options. Did you know that on some HUD Homes, HUD will loan you money to do repairs? Take a look at the video and see what you think, or search my webpage for other Texas HUD homes in your area. It’s as easy as entering a Zip code in the “Search Site” space on the website. FHA Case# 495-852714.